A Chase professor could soon serve on the Supreme Court following the retirement of Justice Anthony Kennedy. Chase adjunct professor and U.S. 6th Circuit Court of Appeals Judge Amul Thapar. According to the New York Times, President Donald Trump reportedly sat down with four federal appeals court judges earlier this week. Among them was Circuit Judge Amul Thapar, who has served as an adjunct professor at Chase College of Law for roughly ten years. If nominated, Thapar would be the first Indian-American Supreme Court justice. 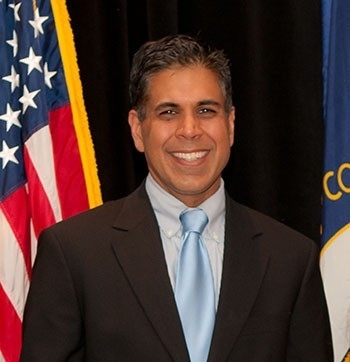 In 2017, Trump appointed Thapar to the U.S. 6th Circuit Court of Appeals, which has jurisdiction over Kentucky, Michigan, Ohio and Tennessee. An appeals court rules over challenges to district courts within their circuit and appeals of decisions of federal agencies. According to Co-Acting Dean Michael Whiteman, Thapar teaches a Supreme Court seminar class each spring. With the 6th Circuit Court of Appeals located in downtown Cincinnati, he is able to teach his students in his chambers for this unique but rigorous course. Thapar also served as commencement speaker for the Chase College of Law graduation ceremony in May. Whiteman believes Thapar has been instrumental in getting prominent guest speakers for Chase as well. “He’s incredibly intelligent, a very good personality, very collegial—he would be an excellent Supreme Court justice,” Whiteman said. Trump will announce his pick for the Supreme Court seat Monday. Any nominee to replace Kennedy, who will step down July 31, needs Senate approval before joining the bench.